Are you seeking mountain adventure? There’s a reason so many visitors flock to Saluda every year. Incredible mountain views, stellar opportunities for outdoor recreation, and that peaceful mountain atmosphere make this town unbeatable. If you decide to vacation in Saluda, however, you’ll need a fantastic place to stay. Luckily, there are dozens of fabulous rental options in the area to choose from. For the optimal vacation, you’ll need one that fulfills all your needs. 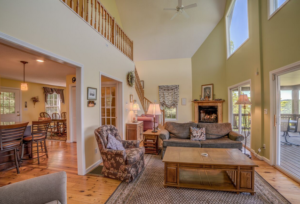 Let’s look at Gorgeous View as an example of the perfect vacation rental home. To fit the bill as the ideal vacation home, it has to meet the following requirements. 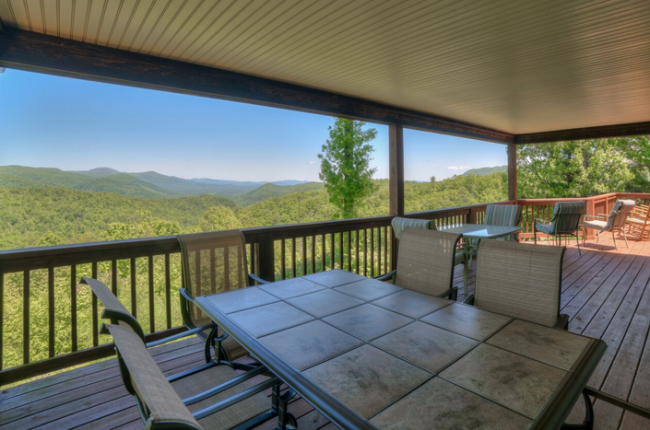 Nestled within the foothills of the Blue Ridge Mountains, Gorgeous Views is in an ideal location for adventuring, relaxing, and optimal vacationing. It’s a short drive away from both the new Gorge Zip Line and the Green River. Looking to fly high? Fancy a refreshing mountain swim? You won’t have to travel far from home. It’s also grants residents easy access to I-26, making it easier than ever to take a day trip to Asheville or Hendersonville. However, with these amenities, we won’t blame you if you don’t want to leave. Gorgeous Views is your wonderful mountain paradise. It has three bedroom suites on three levels. 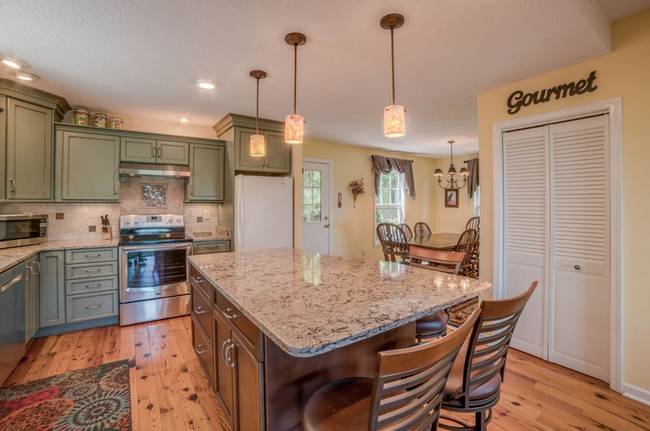 The kitchen has been completely renovated, with top-of-the-line appliances and brand new cupboards and countertops. Host a movie night in the den, which is huge but still maintains a vibe of coziness with the fireplace, vaulted ceilings, and flat screen T.V. 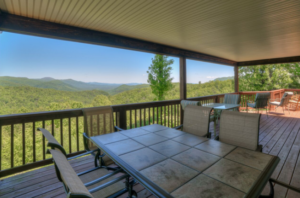 Afterwards, take the party outside onto the attached deck with views of the Green River Gorge. The master suite is located on the main floor with a luxurious bath with dual vanities and a tile shower. 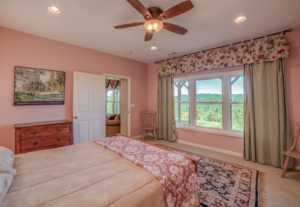 Picture it; you wake up every morning to a spellbinding mountain view. This could be your reality, regardless of which room you choose to sleep in in Gorgeous View. Originally founded as a quaint resort town, Saluda has grown into a popular vacation destination. It’s a peaceful spot, with plenty of rich Mountain history hidden within its streets and corridors. Saluda is home to artists, craftspeople, and nature enthusiasts. The community is welcoming to both newcomers and vacationers, and the friendliness is palpable in the mountain air. In addition to its numerous outdoor adventures and recreational amenities, it regularly hosts fun community events, celebrations, and musical performances to celebrate the rich local culture. Looking for a GORGEous View? You don’t have to look any further! Gorgeous View checks off all the boxes on our list of vacation must-haves. If you’re still not convinced, give us a call ! We’d love to give you a personal tour of this fabulous vacation hot spot. Don’t wait too long to inquire, however! Gorgeous View is never available for long.